Here at 24 Hour Home Care, we look for the best of the best. We have multiple positions that are suited for people with different personalities and career goals. Our company’s constant growth continues and the possibilities for your career in the home care industry are endless! Here are some of our superstar employees and what they have to say about working at 24 Hour Home Care. 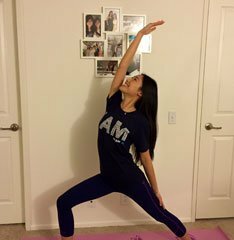 Karina started with 24 Hour Home Care in November of 2015 and has enjoyed every day since. 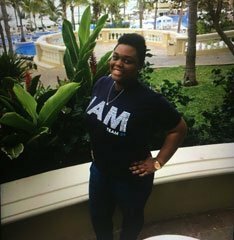 In her role as a Recruiting Coordinator, she has had the pleasure of meeting various medical professionals and assisting them in furthering their careers. 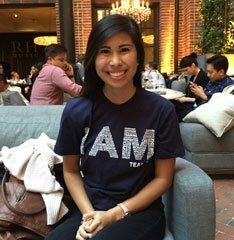 Karina actively work towards interviewing potential external employees, making caregivers HCA compliant, and providing employees with in depth training regarding Alzheimer’s, Fall Prevention and Disaster Preparedness. In addition to helping her staff grow, she has thoroughly enjoyed building connections with local nursing schools and their career directors. Together they assist students gain professional experience and knowledge in the caregiving field through career fairs and school presentations. 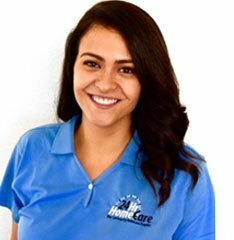 The most rewarding part of Karina’s job is finding passionate caregiving professionals who truly represent 24 Hour Home Care’s core values! 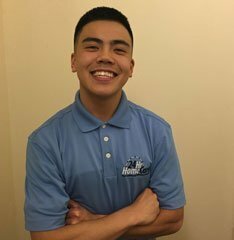 As an Account Manager at the Encino office, Joey helps his clients throughout their entire experience with 24 Hour Home Care. Not only does he meet and consult with families for their loved one’s needs, he also staffs the perfect match for them so they receive the best care possible. Along the way, he is constantly involved in the process to make sure that all of his clients are satisfied and well taken care of by our professional caregivers. 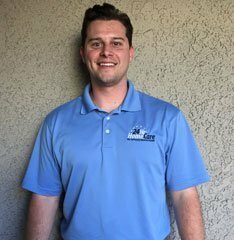 Joey comes to 24 Hour Home Care with a degree in Psychology and Kinesiology from the University of Arizona and experience in Physical Therapy. He has used his background in science and physical rehabilitation to truly understand his clients’ needs so they can continue to live a full and active lifestyle. 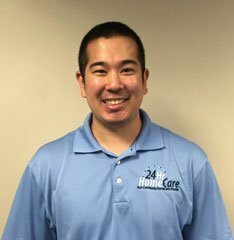 Joey enjoys the enthusiastic environment and the team-oriented culture that 24 Hour Home Care has embodied and he looks forward to growing with the company in the future. 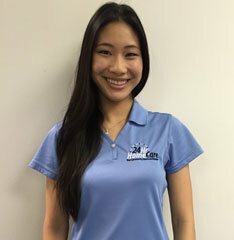 Sarina started with 24 Hour Home Care right after finishing college in 2013, and began working at the Irvine office as an Account Manager. After almost 2 years as an Account Manager, a position at the Encino location became available and she had the opportunity to take on the role as Director of Admissions. Now, Sarina handles all of the outreach for our community partners and is able to help the office grow on a much larger scale. It has been an incredible journey for her learning about such a unique industry, but also having so many opportunities to grow and learn more about herself every day. 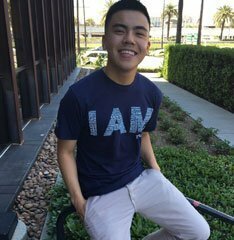 Kevin joined 24 Hour Home Care as a Care Coordinator in our Irvine office in early 2016. As a Care Coordinator, Kevin is responsible for working with the Account Managers in the office and matching up clients with caregivers. This job requires constant patience, communication, skill, and a little bit of luck, but the satisfaction of knowing you did a great job is always rewarding at the end of every work day. This job comes with many benefits, experiences, opportunities, and anything you could ask for from a company. The ability to build relationships with the amazing people you work with is just another added bonus! Kevin loves to play basketball, skateboard, and despite skating since 6th grade he has yet to break a single bone! Amaris started her journey at 24Hr Homecare as an intern for the Human Resources Department in the Corporate office. She learned a lot and loved the environment, and wanted to know more about the career opportunities at 24 Hour Home Care. 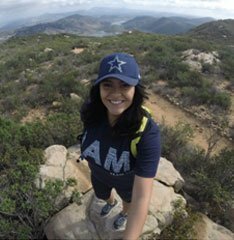 She was hired as an Account Manager in Torrance, CA after her internship, and has been growing and developing every day since! The company has allowed her to grow exponentially with her communication, leadership and teambuilding skills. The Account Manager role has taught her how to problem solve like a champion, communicate with clients and her colleagues, and allowed for growth and development as a person and professional. 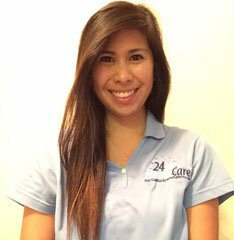 Amaris is proud to be a 24 Hour Home Care Account Manager and team player. As a Respite Services Coordinator in Orange, CA, Karen’s goal is to provide our clients with developmental disabilities with the best services we can offer. This includes hiring well-qualified Care Providers to assist our clients with their care needs, provide companionship, and ensure their safety. Karen also works with her team in deciding which Care Providers would work best with each client, based on their experience, hobbies, and interests. When she is not recruiting for the right candidates, you can find Karen in a hot yoga class, hiking with friends, or playing her favorite board game – Settlers of Catan. She also loves spending warm, sunny days at the beach and eating fish tacos. Her personal goal in life is to own an English bulldog and name it Penelope (“Penny” for short). 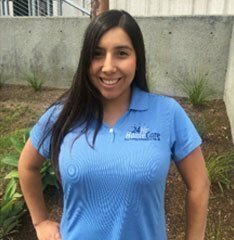 Celia began her journey with 24 Hour Home Care in our Encino Branch location and found her passion in Human Resources. 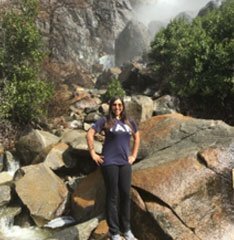 She was soon asked to take on the role of HR Coordinator in beautiful San Diego and quickly made her way down south. Celia truly lives by our motto “Care and Compete” and proved that she could hire the best caregivers for her team and helped the San Diego office hit key milestones. 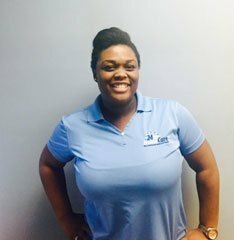 Celia is now a tremendous asset to the company as a Training and Development Coordinator in our Corporate office. She implemented University 24 to make sure all of our caregivers have the best training possible. The growth and development at 24 Hour Home Care is endless and Celia is making sure that employees continue to have the tools they need to continue developing. As Assistant General Manager, Randy is in charge of assisting in the operations of 24 Hour Home Care’s flagship Torrance, CA office. He started his career as an Account Manager, worked his way up to Senior AM, and eventually to a management position. His colleagues describe him as Mr. Calm, cool, and collected. Even though he was born and raised in the South Bay, Randy is constantly looking for new experiences. He is always open to trying new things whether it be traveling across the globe or eating different types of foods. Don’t let his calm demeanor fool you, though. He does have a competitive nature that comes out when it comes to driving the business. 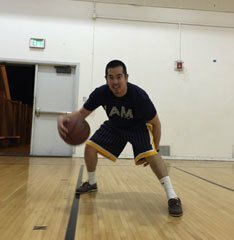 When he is not in the office you can often times find him on the courts playing basketball, in the mountains blazing the trails, or trying out the newest restaurants in the South Bay. 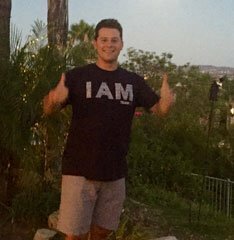 Being the only avid Arizona Diamondbacks fan and Indiana Pacers fan in Southern California, Randy is not afraid of being unique and standing out in the crowd.